News | KOKUHO ROSE DEBUTS ON DISCOVERY CHANNEL | Sonray Sales Ltd. 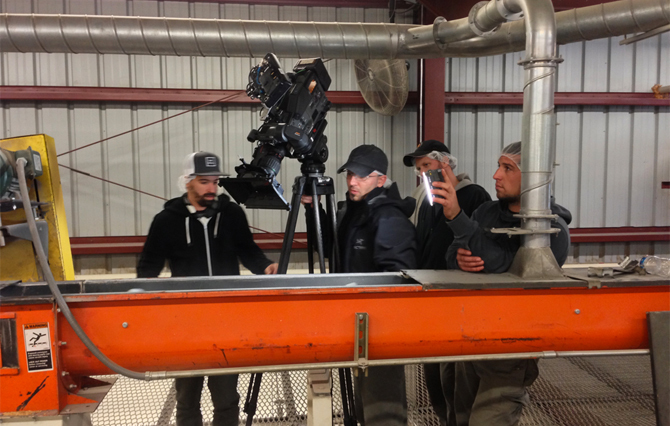 The crew of Discovery Channel’s hit tv series “How It’s Made”, recently paid us an exciting visit at the Kokuho Rose rice manufacturing facility in Arbuckle, California. After some introductions and a quick tour of the production line, storage facilities and main buildings, we were all set to start filming. The team and film crew had their work cut out for them, as there are many production and quality assurance steps that go into bringing Kokuho Rose from a raw grain, to the delicious final product enjoyed at the dinner table. 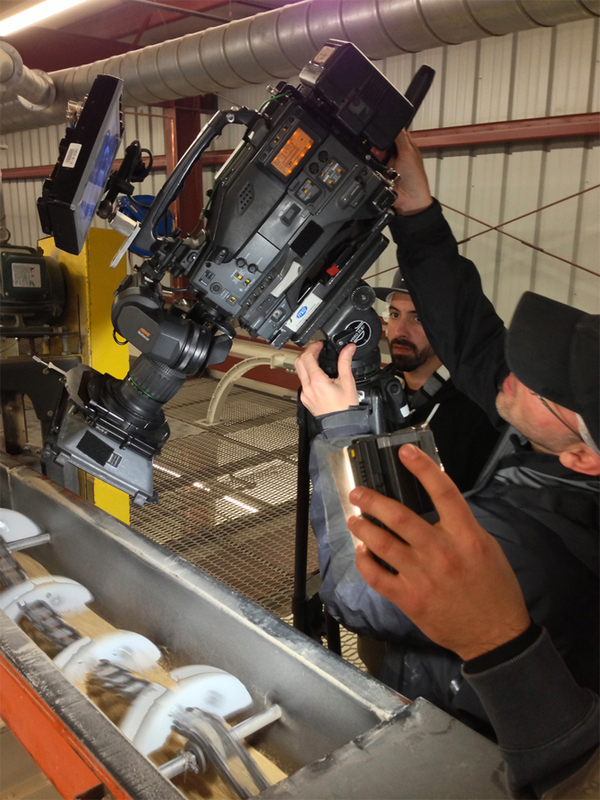 Over the course of two 10 hour days of shooting, we pulled apart machinery, climbed ladders and set up lights to catch all the important details of how this premium rice is manufactured. Watching the team work their cameras and prepare the different scenes was not only fun, but also really made it feel like we were on the set of a Hollywood film. “This was my dad’s (Bill Hornell, Founder of Sonray) life long dream to have a video made that showed how rice was made. We are very proud to have worked with the Discovery Channel. The reason we feel this is so important is that most people think that rice is bleached in order to turn it white. In fact all rice in the world starts out as brown rice and they simply roll it around in a tumbler until the bran layer is scraped off. When you take white rice and pour it into a dish with water, the water turns a milky white colour. This is due to the fact that there is ground up rice so fine that it is rice flour. The reason why it is very customary to rinse your rice is because it presents each kernel like a washed shinny car vs presenting a dirty car. Personally, I’ve never rinsed my rice and simply add it to the rice cooker and hit start”. Jeff Hornell, Owner and President of Sonray. At the conclusion of the second day of filming, it was time to part ways with the film crew and put everything back together. We were informed all of the collected footage would go off for editing and a narrator would lend her voice to the new video. We got very excited when we found out the that show would air in 64 countries and in 14 different languages - amazing! What a rewarding experience and we would like to extend a BIG thank you to the crew of How It’s Made and the Discovery Channel for helping us share Kokuho Rose with the world.